Just having some fun at my desk when I set down my reading glasses and happened to see focused through the lens a flower pedal I had saved. 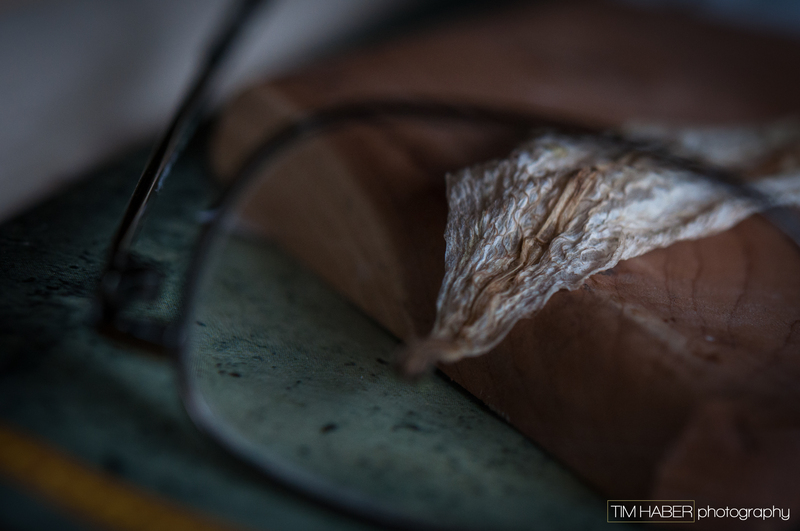 I positioned the pedal on a cedar block, set my glasses where I liked the image, and took a few shots. Angles, curves, and framing of the pedal and glasses were the basis for my selection of the shot I liked most. You don’t have to go far to happen upon a photo opp.